Although obesity has been linked with significant health risks, being overweight doesn’t automatically mean your health is in a bad state. According to research, the kind of fat which is most dangerous to health is the fat stored in the upper body, specifically the abdomen. In this article, we have looked into the best ways to reduce belly fat, and investigated the scientific research backing up these methods. A high level of sugar in the diet has been proven to cause weight gain and even obesity. It also elevates the risk of diabetes and high blood pressure which increases the risk of cardiovascular disease and stroke. Excess sugar is toxic for the liver, and is converted by the body into fat. The majority of this is stored as belly fat. Many studies have shown that increased belly and liver fat results in insulin resistance and a whole plethora of other metabolic problems. Reducing the amount of sugar in your diet, and in particular avoiding sugary drinks (including fruit juices and sports drinks which contain lots of sugar) will help to limit the sources which are converted into belly fat. Protein is an important food group in our diets. It provides the building blocks, called amino acids, for the body to be able to renew and repair cells, heal wounds and produce many of the chemicals and hormones the body needs to function. There is lots of scientific evidence that shows protein is an extremely important contributor in any weight loss program. Some studies suggest that increasing the amount of protein you eat is the absolute best thing you can change in your diet to achieve weight loss. Foods such as meat, chicken and fish are well-known sources of protein. Other great sources of protein are eggs, seafood, nuts and some whole grains, legumes – for example, peas, beans, chickpeas, lentils and alfalfa – and dairy products. There is lots of evidence to prove that a low carb diet is a very effective way to lose weight. One of the key features of a low carb diet is that it limits the body’s usual primary source of energy – carbohydrates. This forces us to use the next best energy source, which is fat. So with a low carb diet, most of the weight loss comes directly from stored body fat. Fiber is one of the most important food groups for good health – in particular, soluble fiber. In terms of belly fat, some studies have found that a regular intake of 10 grams of soluble fiber reduced abdominal body fat by 3.7%, and observed an even bigger reduction (7.4%) in the abdominal fat of participants who were moderately active (source). Research has shown that increasing your fiber intake by 14 grams can result in a ten per cent decrease in the amount of calories consumed, and an associated significant weight loss. It’s also worth taking note of the oils you use in your diet. 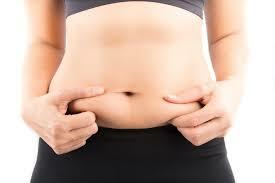 Some studies have noted adding 30 ml of coconut oil to your diet helps to reduce belly fat. Scientific studies show that the best way to reduce belly fat is large muscle group aerobic exercise, like swimming, walking and running. Because these types of exercise recruit many large muscle groups, they also use a large amount of energy. Exercise has also been proven to be effective in totally avoiding the re-accumulation of abdominal fat following weight loss.